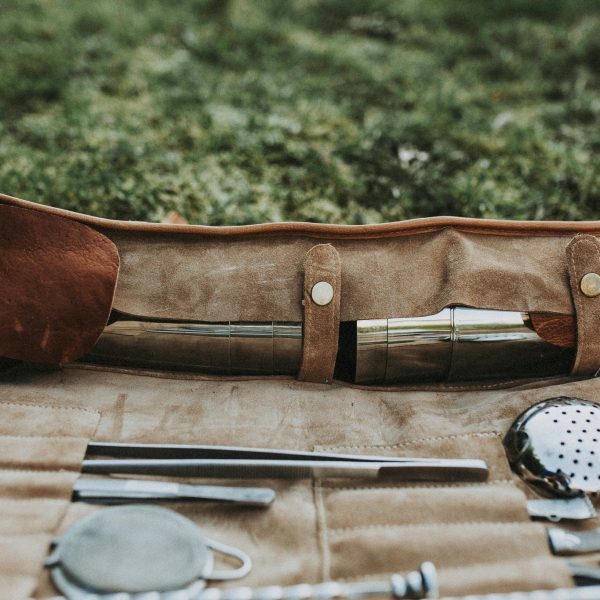 Bartender Bag | Jigger & Co.
Add a touch of class to your tools and give them a stylish home with this finely handcrafted Vintage Style Bartender Bag. 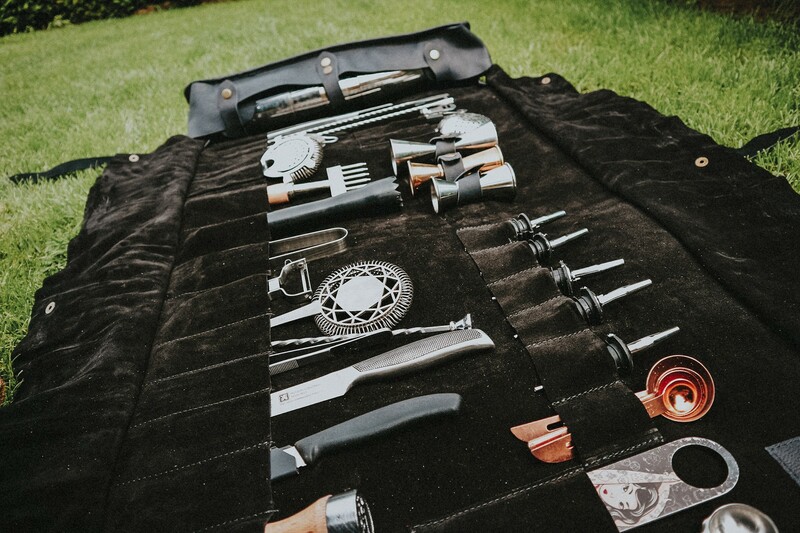 Perfect for professionals, enthusiasts and even beginners who have accumulated a few tools over time. 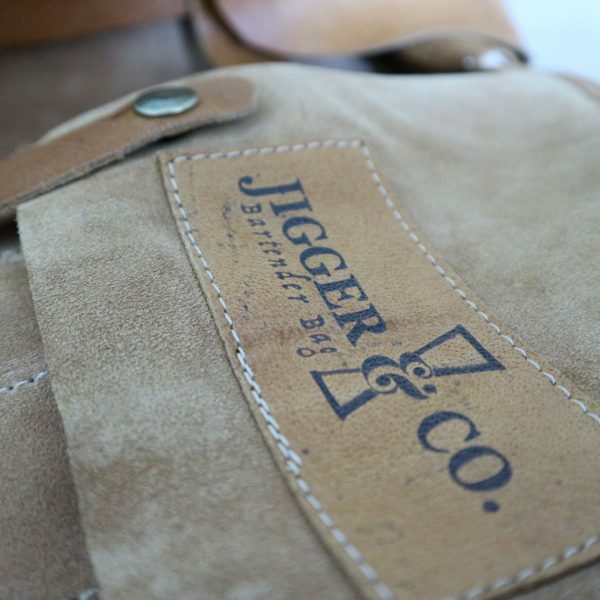 Leather (outside) & brushed suede (inside ) bag. 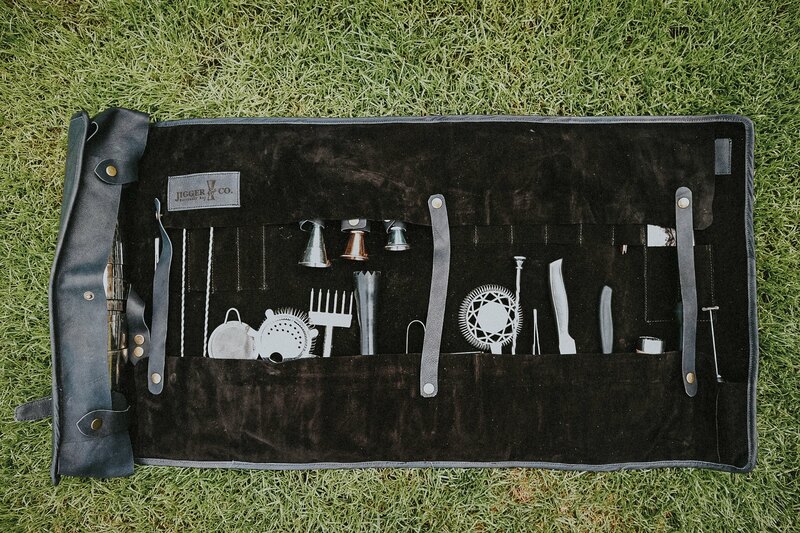 34 storage pockets in total, can keep tools accommodated, organised and accessible, easy to carry. Flat Size is 100 x 50 cm and Rolled size is 50 x 24 x15 cm. Product will be sent within 2 working days after the payment. All products are shipped through PostNL as our partner carrier. Every shipment is fully insured and a tracking number is provided. Buyers outside European Union – Please Note: Import duties or any additional taxes and charges are not included in the item price or shipping cost. These charges are to be paid by the buyer. Returns & Refunds Policy: Customers within European Union can return the items within 14 days from the receipt of goods. Returns must be unworn, in the state received and in the original packaging. Customers outside European Union can return the items only if they were damaged in transport. We will issue you with a refund for the amount of the returned item(s). Any delivery charges paid at the time of your Order is excluded from the refund (except for orders fully returned due to wrong, faulty or damaged items). 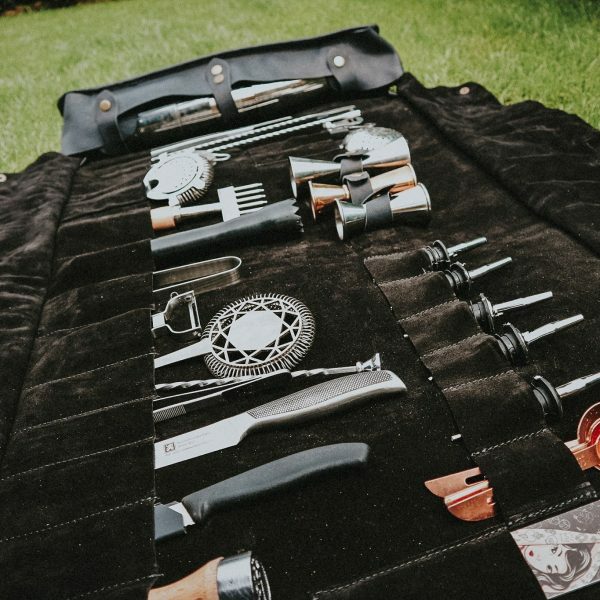 Working as a barman/bartender over the last 15 years I’ve used a number of different bags to carry my tools – from aluminum cases, sports bags to leather doctor’s bags and suitcases. 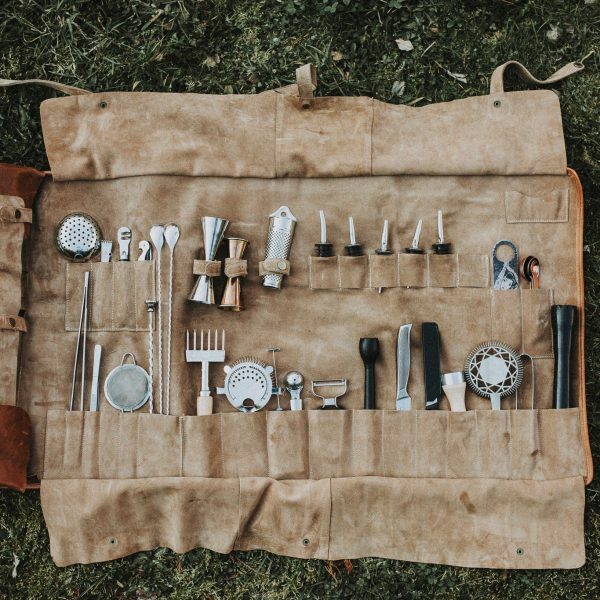 They were never an ideal solution to cater for everything (all tools) to fit it all in. 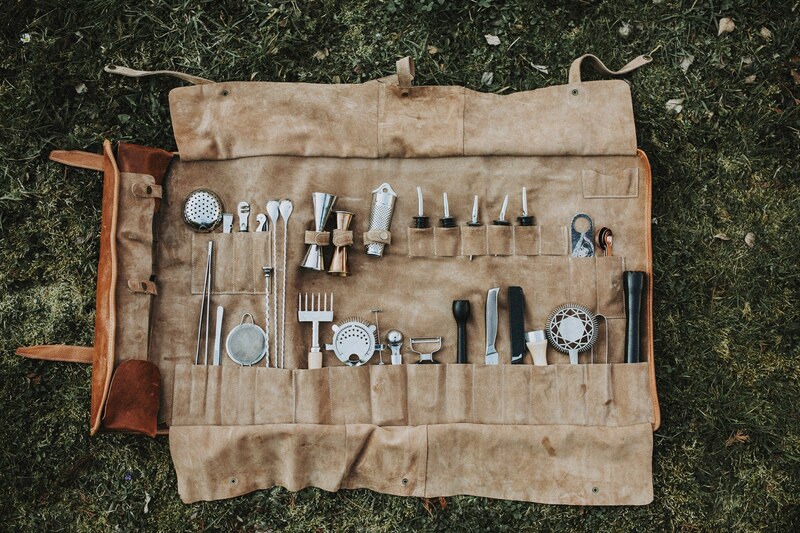 – even when I managed to cram it all in that wasn’t a pretty sight or functional. 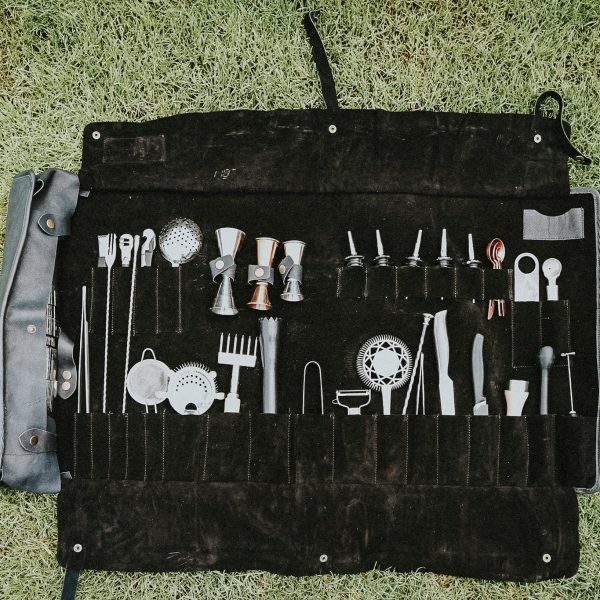 In the last few years the number of tools I use increased and with the popularity of the craft cocktail culture it is still growing. For example, ten years ago we used one strainer and one knife. 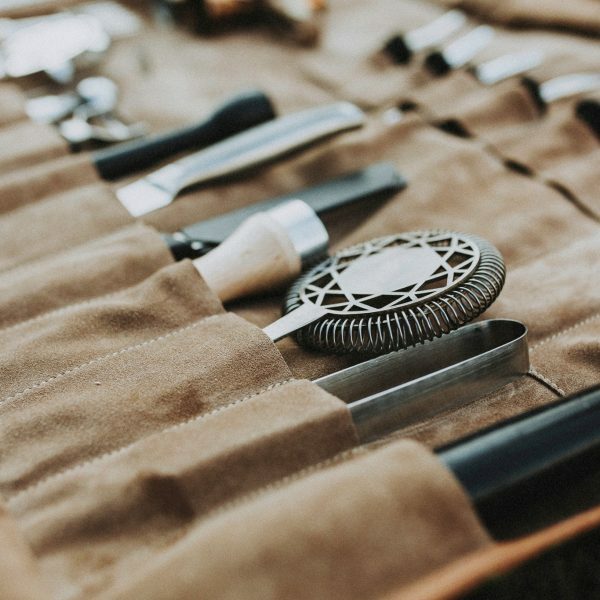 Now you require three strainers, three different knives and many jiggers . There are also different pincers and peelers and multiple barspoons. The increased number of tools needed require more room and a better solution. 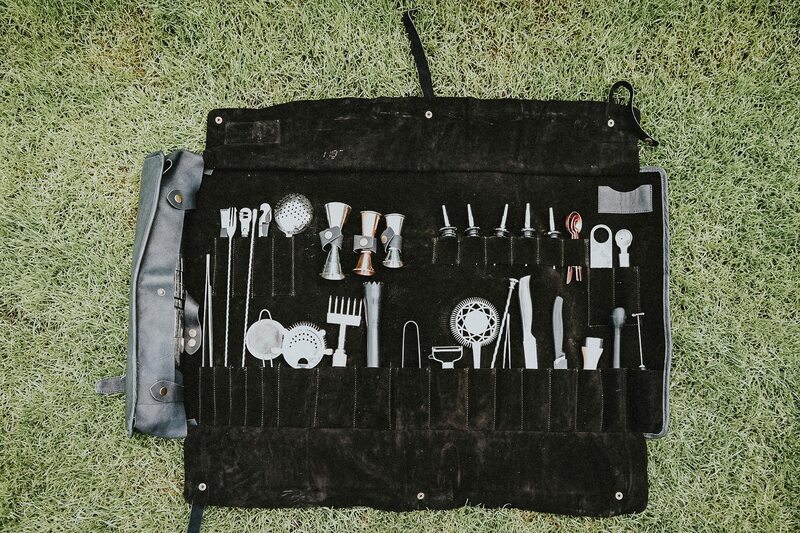 The worst thing to happen is having to leave your favourite shaker or another tool at home simply because there is not enough room in your bag. 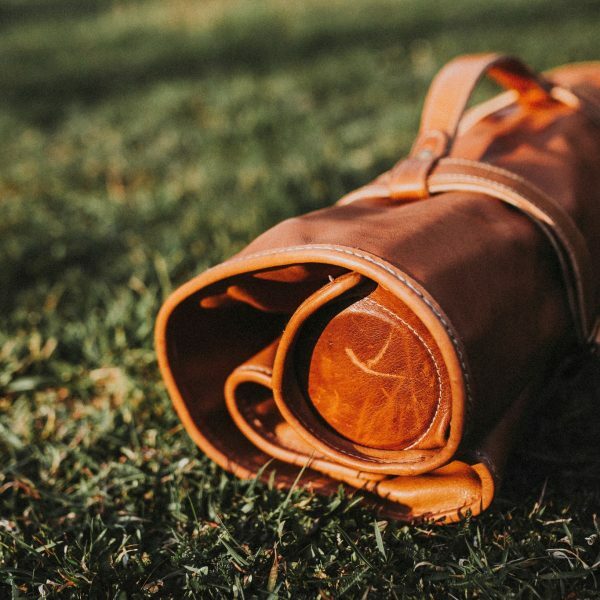 When I finally decided to buy a decent bag a few months ago, I wanted a bag that is durable and one that will last a lifetime and will cater for all my tools. Of course, it also has to be cost effective, functional and look good too. Unfortunately, the bags available on the market were all too small! 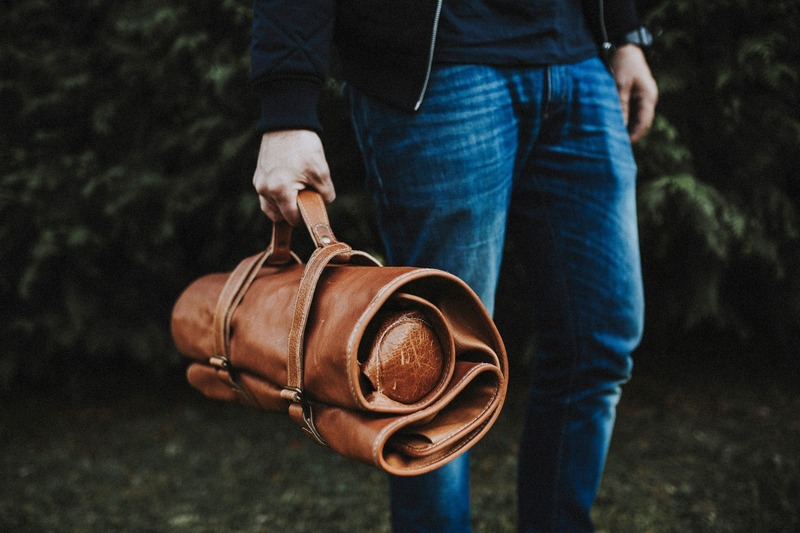 And the better quality leather bags were not the right size or were too expensive. I didn’t want to consider plastic or bags made of different materials. 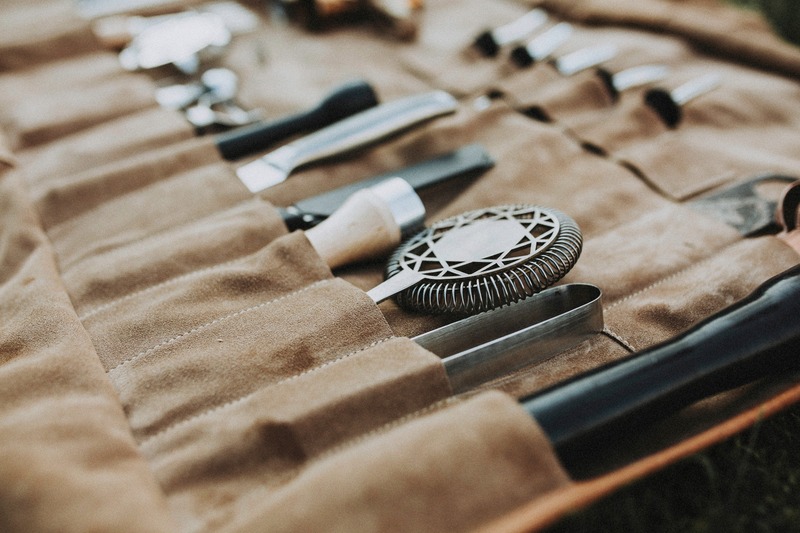 When I looked at bags on the internet I noticed vintage bags, like the ones butchers use to store their knives, and got an idea of what my ideal bag should look like. When I published the photo of my ideal bag on several forums and social media sites I received fantastic feedback from colleagues. 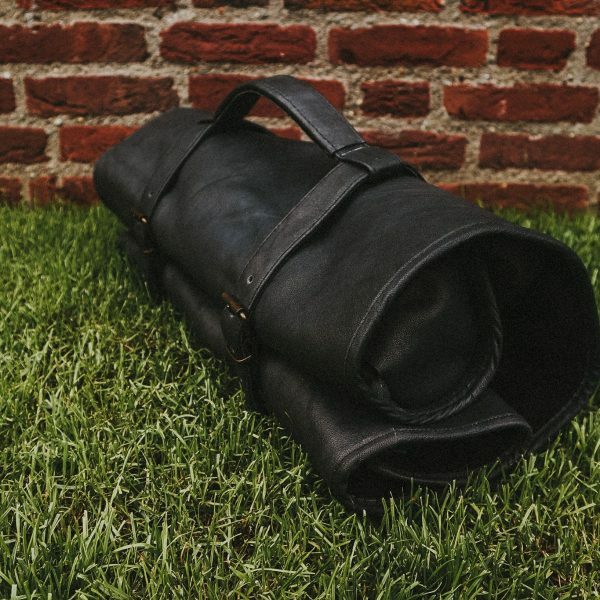 The surge in interest triggered my desire to start producing bags on a larger scale. 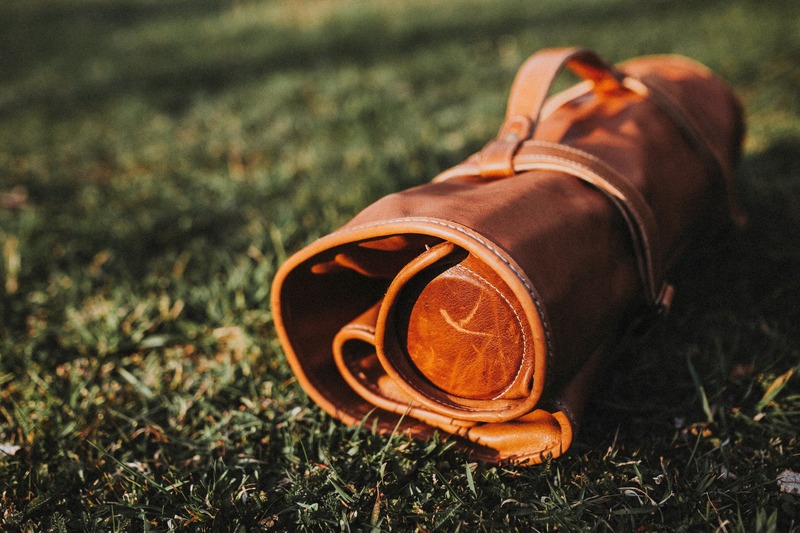 After some initial minor changes, based on feedback from professional colleagues, the result was an ideal sized bag made with cow hide on the outside and a brushed suede on the inside. 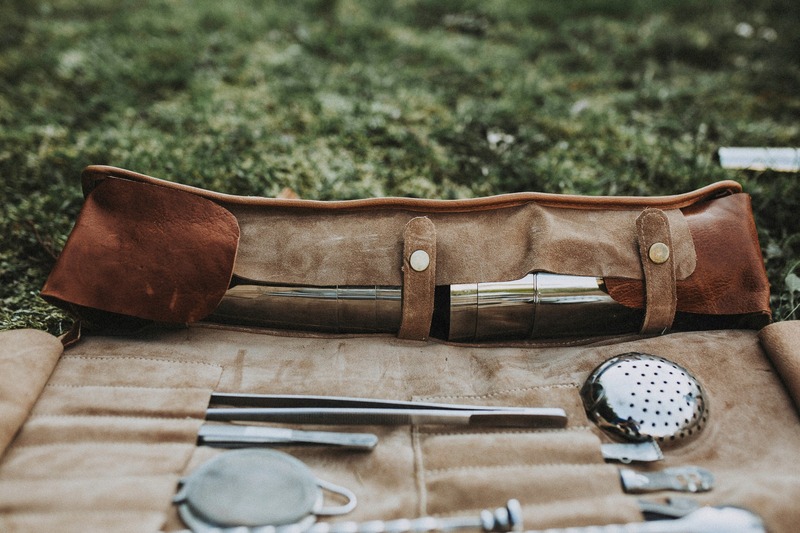 Pockets for tools vary in size so you can utilise many tools in whatever order you require. The lid also caters for 4-6 shakers (shaking tins) and two mixing glasses. 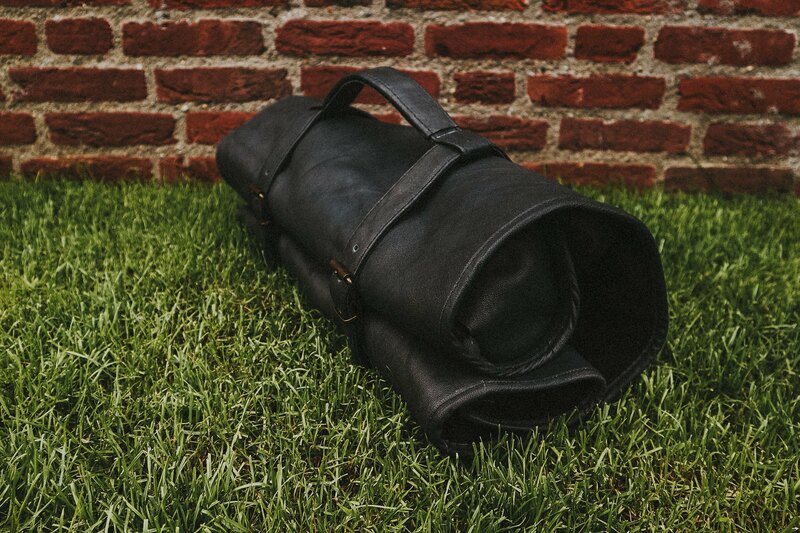 After extensive research, I have sourced the best cow hide for the exterior of the bag. 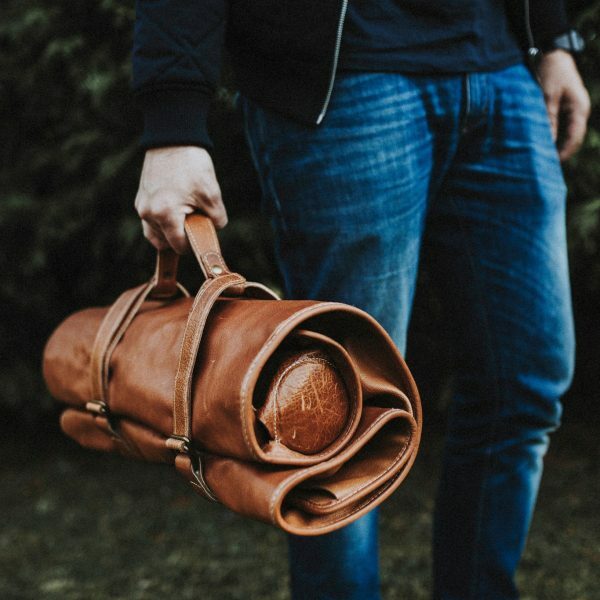 My aim was to find best quality natural leather so that each bag will be unique with different markings on the leather. 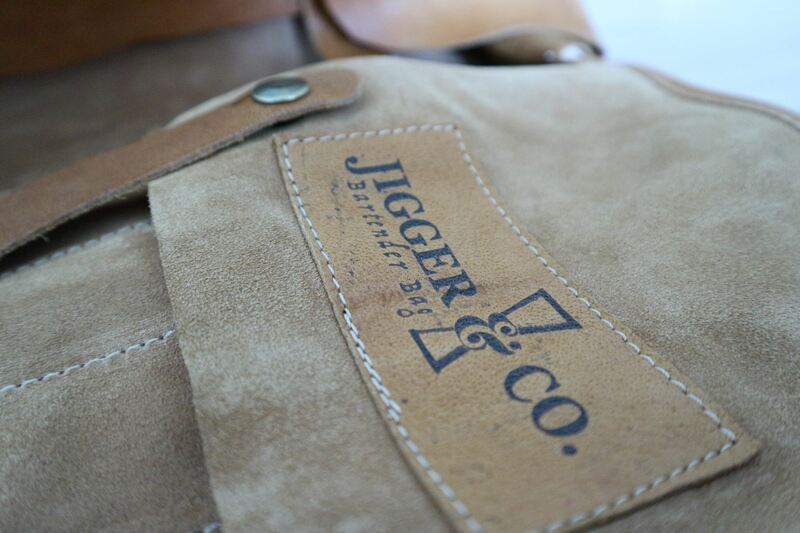 Leather is treated with a clear aniline dye to allow the color and natural grain pattern to show through. This process gives a very natural appearance to the Bag.All bags are handmade so production capacity is limited, currently I am unable to produce high quantities. I’m very proud of what I’ve created, I am launching the product on the European market with a high quality product which is cost effective and affordable. 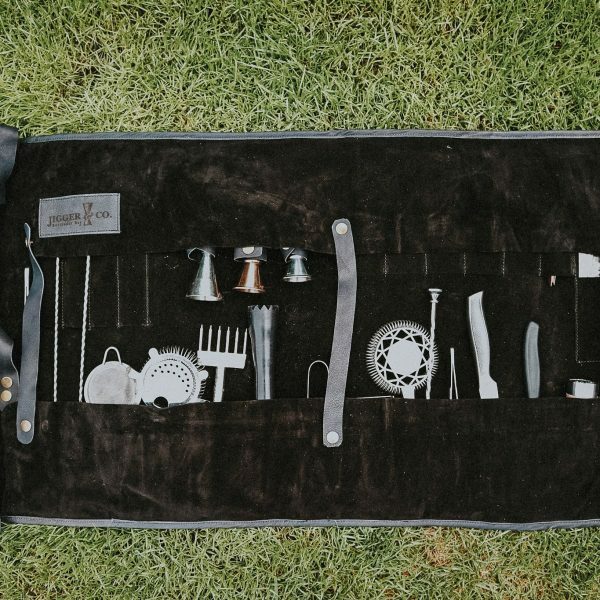 Of course, the bag is not just for professional barmen (and mixologists), it can easily be used by catering professionals, brand ambassadors and also amateur barmen who require suitable bag for their tools and equipment.